And flowers are connected to Angels in that flowers carry a very pure and uplifting vibration of peace, harmony and joy. Flowers are a clear expression of the divine within nature. When I was first learning to connect with the angelic realm, the angels would often say “look for us in the flowers”. Although angels are connected to everything, they are especially attuned to the vibration of flowers. As you begin to look for the presence of angels in your life, thinking about them, inviting them into your life, and imagining their presence in nature, in flowers, and in the clouds, your experience of the angels will become more real, and more profound. All flowers carry healing and uplifting vibrations which will help you on your spiritual path. 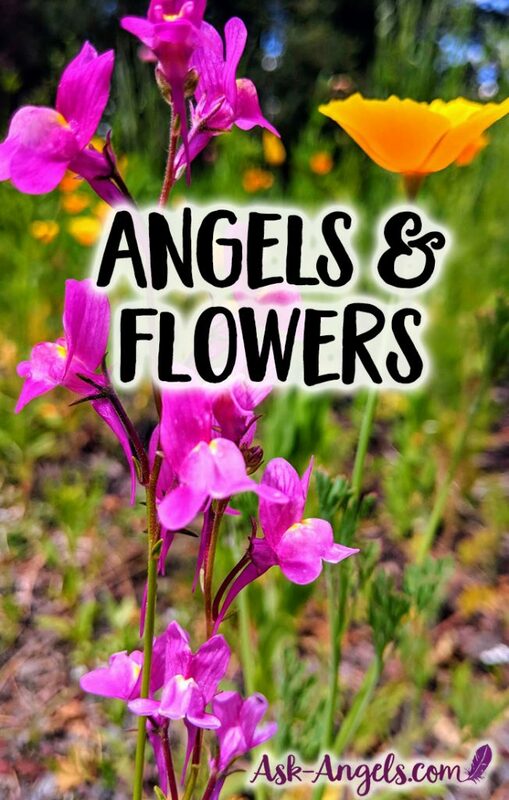 In addition, there are certain flowers which are known to attract specific angelic beings, here is a quick look at these special “angel flowers” and the types of angels they can help you to align with. Which of these flowers are you most drawn to? This intuitive knowing can help you to realize which angels can most serve you now as well. Honeysuckle will help you learn to be fully present in the moment, to learn from the past, release it and move on. Honeysuckle is closely attuned to the messenger angels, who speak, radiate and bring messages of divine love into your life. Meditate with honeysuckle to begin to tune into the messages of the divine through angels. Gardenia will support and provide stimulus for spiritual growth. Gardenia attracts angels who assist in releasing worry, and also angels to assist you in opening to more prosperity. This includes abundance of love, money, spirituality, and all things good. Connect with the angels who extinguish worry by working with Gardenia. Hyacinth brings a calm quality of knowing. 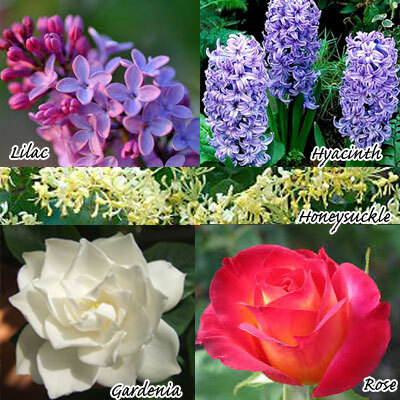 Hyacinth is a natural mood elevator which vibrates with constant love. Hyacinth will help you to attract your soul angels to you. Soul Angels serve to assist you in knowing and bringing your authentic soul qualities and light into your life. Roses carry the vibration of love and passion. Traditionally known as a “flower of love” roses will indeed attract angels of love into your experience. Romantic love, self love and unconditional love are all within the scope of what the angels of love wish to help you learn and experience. Lilacs radiate joy, happiness, and youthful innocence. Lilac will help you to let go of what no longer serves you so that you can align with more joy in life. Lilacs attract angels of happiness. Happiness angels serve by helping you move in the direction of happiness, they will “train” you to live life in the moment with joy and love, which ultimately aligns you with even more happiness and goodness. If you're wanting to meet and know your angels… Stop and smell the flowers, and remember to look for the presence of angels as you do. If it's winter where you are, or if you're indoors you can still tune into the power of flowers by meditating on a picture of a flower, or purchasing flower essences. Take a moment to breathe and just be present with these flowers, and with practice you will be able to feel that you are in the presence of angels as well. Angels are present where ther are flowers.I was receiving signs from angels in one type of flower last year but i don’t know it’s name.It was big synchronicity. I smell carnations,my family smells them when there here at my house sometimes.The hole room smells like them.I know this is how my mother lets me know she’s here.Or could it be someone else.She N all my family know they are my favorite.Smells so wonderful! I have always loved flowers. Almost any kind of flower uplift my mood instantly by their sheer beauty colour n fragrance. But I have been most attracted to roses. Feels there is really something divine in them. I have always loved flowers. My late son, TOMMY loved flowers. Growing mostly ZINNIAS, which were his favorite. What do ZENNIAS CHANNEL ANGELS THAT IS? Experience wild flowers in a meadow…wow.. Create a Journal ,and held friends & family with your experiences.